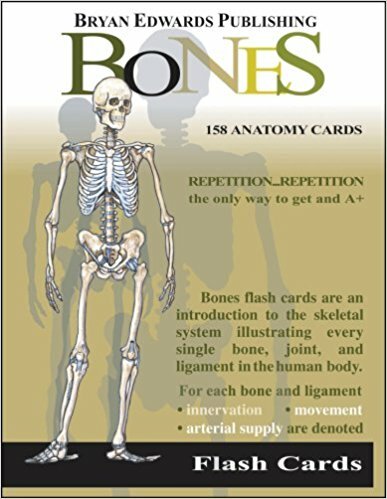 The Bones flash cards are an introduction to the skeletal system, illustrating each bone in the body from head to toe. This set includes 164 cards. In addition to the bones, this set includes a special chapter covering the joints and ligaments of the human body. These cards denote the innervation, movement, and arterial supply of each joint and ligament.